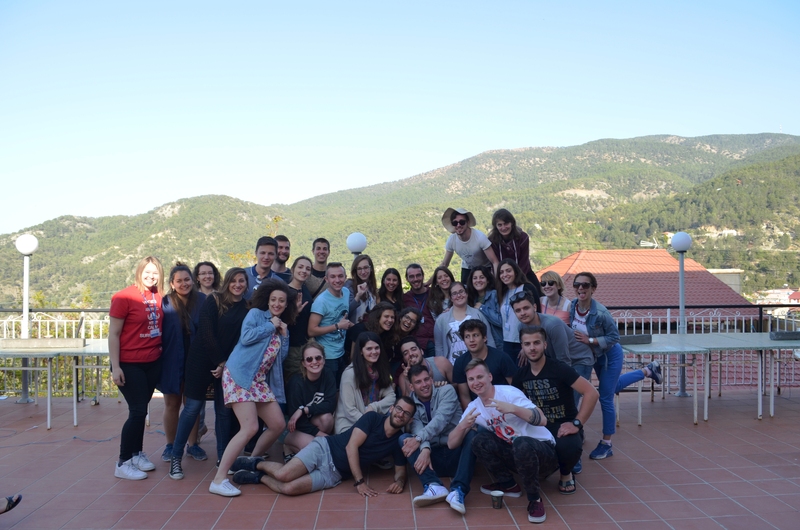 Between 25 and 29 of April 2017, YEU Cyprus hosted more than 50 people from 17 different European countries (Cyprus, Bulgaria, Czech Republic, Denmark, France, Lithuania, Romania, United Kingdom, Croatia, Hungary, Italy, Latvia, Slovakia, Spain, Greece, Poland, Portugal), within the context of the Erasmus + project ‘’Acts of Young People (ACTs)’’. The project was based on the method of structured dialogue. The aim of the project ACTs was to embolden and inspire young people in their ability to participate actively in society in line with the provisions of the Lisbon Treaty; and to stimulate the development of participatory democracy of young people. Following a consultation of young people in the 17 countries in the form of a questionnaire on matters relating to participation in democratic life, the second part of the project was the 4 day conference between young people, during which decision makers and youth experts were invited to talk about the theme of participation in democratic life. We had the honour to have as speakers Mr Nektarios Nicolaides, the Public Relations Officer of the European Parliament Information Office in Cyprus and Ms Christiana Xenofontos and Mr Nikolaos Christofi from the Cyprus Youth Council. During the conference, young people had to work in mixed teams to conclude to a set of concrete recommendations on the topic of youth participation in the democratic life. Based on those recommendations, YEU Cyprus will produce a policy paper in order to forward it to the policy makers at national and European level with the view to be used for future policy making in the field of participatory democracy, active citizenship and youth. The project SMART "Skill Matching Assistance and Reporting Tool" is a way to focus on the empowerment of youth as an important aspect in the European educational strategy. The SMART consortium intends to create a tool that matches skills of youths with skill requirements for jobs. Unlike other matching tools it takes into account informal skills and doesn't focus only on qualifications. It doesn't ask youths to rate their own skills (which is difficult with limited experience and leads to bad results) but takes them through skill tests instead. Groups that benefit from the tool are youths, especially those who don't do well in the educational systems and who have a chance of proving their skills in the skill tests, as well as employers who will be able to find employees who have just the right skills for the job. Career counsellors also benefit from using the system because it can provide them with a detailed skills profile of job seekers that will be highly useful when analysing their personal development and their options. YEU Cyprus is a partner in this consortium together with Association Institutio Pro Educationem Transilvaniensis (Romania), the Universitaet Paderborn (Germany), Ingenious Knowledge GmbH (Germany) and the University of Dundee (UK). 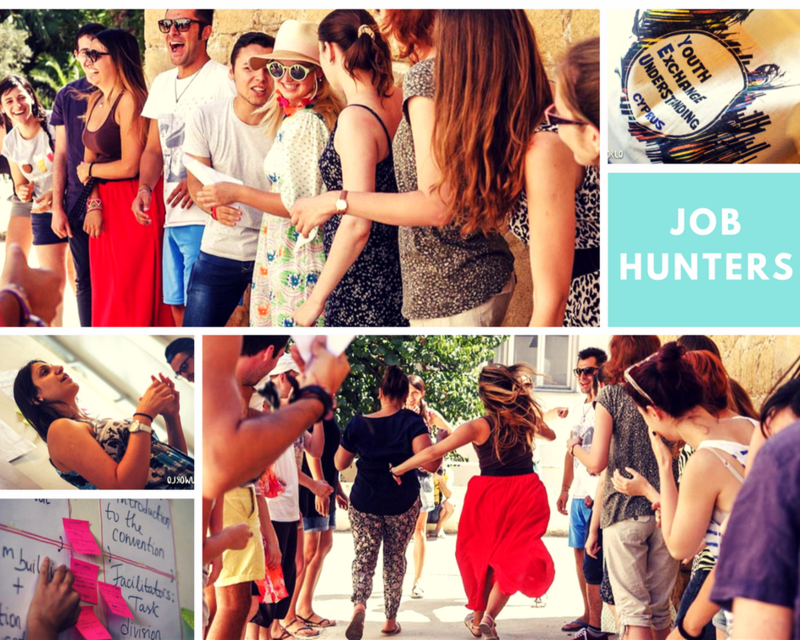 Between 20 - 30 July 2015, YEU Cyprus hosted the 34th YEU Convention "Job Hunters" and gathered 45 participants (educators, youth workers, activists etc.) from 10 different countries (Cyprus, Belgium, Italy, Poland, Greece, Bulgaria, Serbia, Former Yugoslavia Republic of Macedonia, Ukraine and Portugal). The “Job Hunters” project was a youth exchange which aimed to inspire young people to re-enter the labor market after exploring and enhancing their skills and potential. This project was a the starting point that will help them to reconsider their abilities and capacities and inspire them to enter the labor market. The idea of the youth exchange was born in the context of youth unemployment which describes the situation of young people the recent years. This youth exchange envisioned involving unemployed and NEETs young people with the aim to inspire them to re-enter the labor market after exploring and enhancing their skills and potential. The project strategically involved partners from countries or local realities that face unemployment and it had the potential to equip the participants with the knowledge, skills and empowerment to get employed. 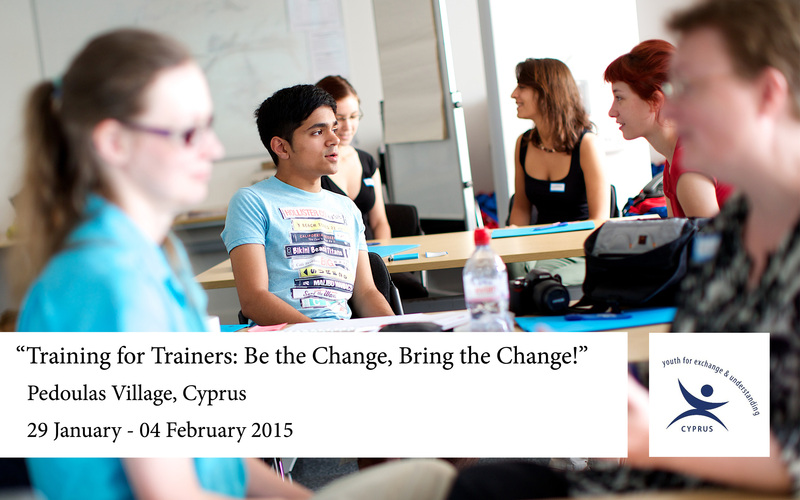 TRAINING COURSE "TRAINING FOR TRAINERS: BE THE CHANGE, BRING THE CHANGE!" The Training Course “Training for Trainers- Be the change, Bring the Change!” had as a main objective to train people who want to become trainers themselves and help them bring forward their knowledge in order to upgrade their training skills. Therefore, youth leaders, youth workers, facilitators and trainers were rendered confident and competent enough to become successful trainers in the youth programmes under Erasmus+. Also participants developed new skills and competences in order to be able to design and implement educational programs in the near future, empowering other young people in their environment with the support of their organizations and local communities. 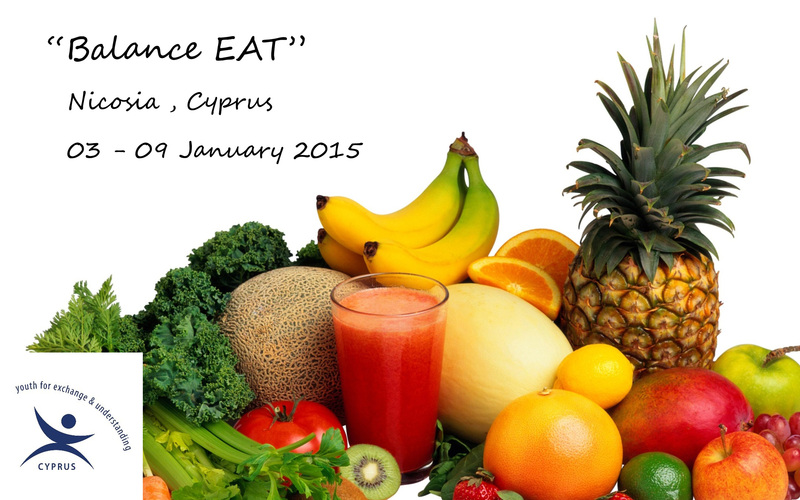 The training Course “Balance EAT” was organized by YEU Cyprus and took place in Nicosia with the aims of raising awareness about the elements which consist a healthy lifestyle among youngsters in Europe. In the same time, the project aimed to raise participants' self-awareness and their critical thinking when it comes to food consumption. Participants were inspired and motivated to organize their own activities in order to spread the idea of a healthy lifestyle while they explore current and/or cultural dietary trends. The outcome of this course was that participants developed their self-awareness about their everyday life habits and were challenged to change for a healthier alternative. In addition, they were inspired, motivated and confident enough to become multipliers of the knowledge and experience gained. 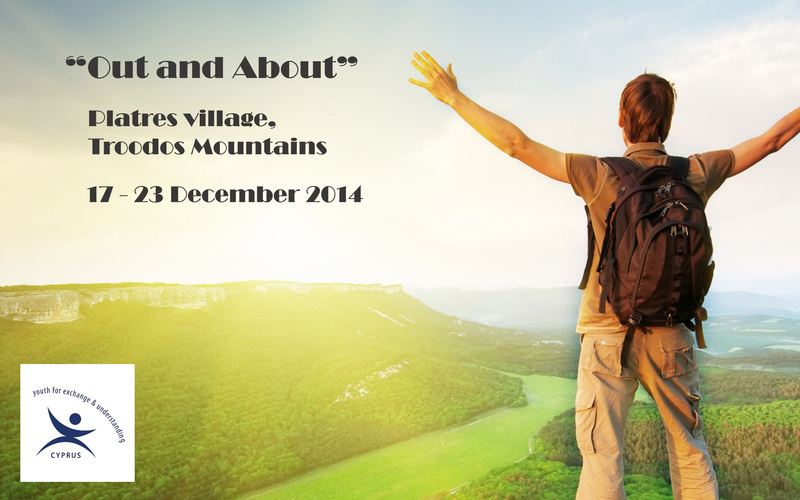 TRAINING COURSE "OUT AND ABOUT"
The training course "Out and About" was organized by YEU Cyprus in Platres village, Troodos Mountains, Cyprus between 17 – 23 December 2014. The aim of the project was to empower participants to understand how to use different theoretical concepts, which give a support to run outdoor activities, to learn how to discover and develop their leadership skills and finally to develop their knowledge to use methods to empower young people within the described inclusion context. In a further perspective the participants of the Training Course will play an essential role in mentoring and guiding youth looking for healthier and peaceful trails through physically and demanding challenges and to broach the issues among their target group, their peers and other young people. Moreover, during the training course the participants developed new skills to design and implement future outdoor education programs empowering other young people in their environment with the support of their organizations and local communities. 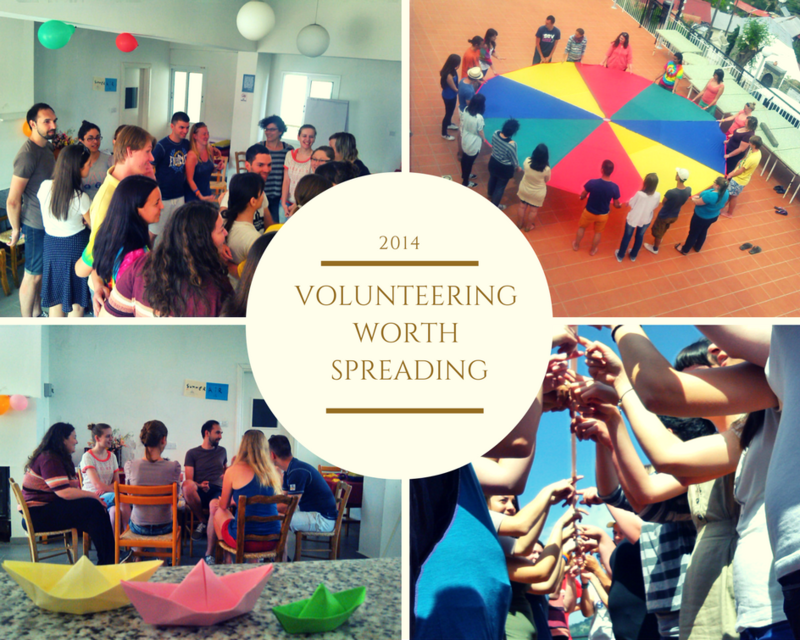 TRAINING COURSE "VOLUNTEERING WORTH SPREADING"
The project “Volunteering worth spreading!” was a training course which involved 21 participants from 7 European countries; Cyprus, Bulgaria, Romania, Czech Republic, Poland, Croatia and Greece. The training course took place in Cyprus, Pedoulas village, between 28.05-3.06.2014. The aim was to to empower youth workers to spread volunteering as a means of social cohesion and access to labour market. The training course provided youth workers with tools which develop young people’s self –awareness and self-development, an important element before choosing a voluntary program. It also equipped them with methods to motivate youth to become volunteers. It was expected that by empowering the youth workers the idea of volunteering will be promoted among youth and thus, the impact on social cohesion and personal/professional development of the youth will be strong. TRAINING COURSE "DANCING THROUGH THE WALLS"
YEU Cyprus organized during 21-27 April 2014 a training course called "Dancing through the walls" and 24 young people participated from 6 different countries (Cyprus, Turkey, Germany, Montenegro, Greece and Serbia) with the aim to examine terms like conflict, walls, barriers, peace, creativity, art. Through mainly non-formal learning activities, the participants were able to explore the nature of conflicts affecting their own and the others’ cities and societies, gained more knowledge and better understanding on the subject, and identified ways in which the conflict can be managed and confronted – conflict management and peace building. 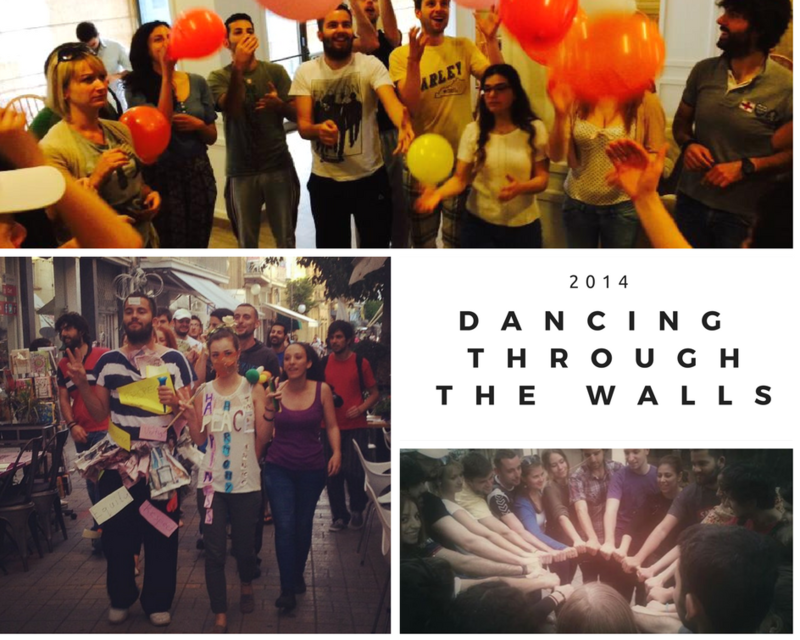 The participants had the opportunity to present their own ‘walls’ in their society and also find their own common creative approaches to ‘dance’ through these walls. The training was based mainly on the understanding and resolution suggestions of conflict. Our goal was not to purely provide a body of fixed knowledge but rather to focus on developing critical and creative thinking skills and cultural understandings, for enhancing social integration in European and not only cities.